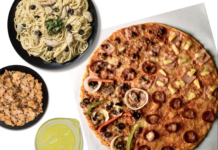 Home Food & Beverage Food Promo: Php73 Rancho Ranchero Meal at Tropical Hut! 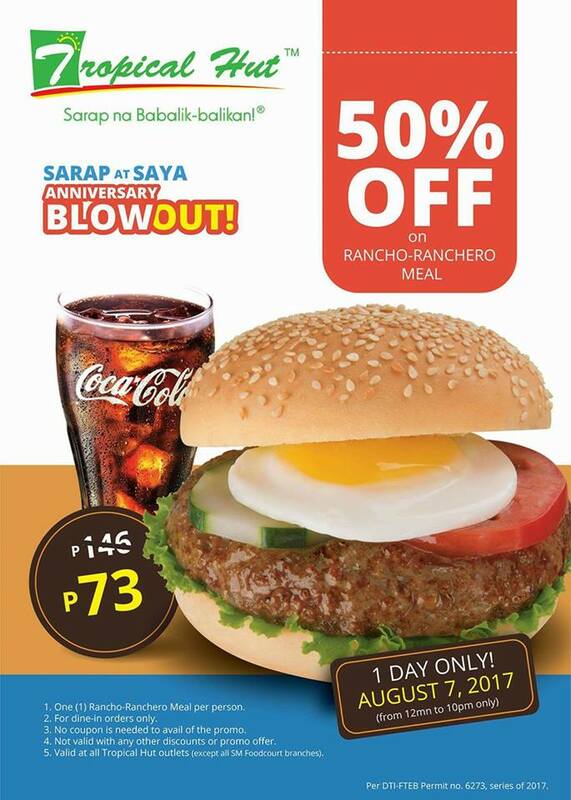 Food Promo: Php73 Rancho Ranchero Meal at Tropical Hut! 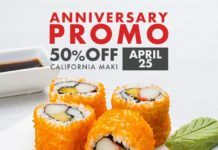 It’s Tropical Hut’s Anniversary and they are celebrating with a bang! Enjoy Rancho Ranchero Meal for only Php73 this August 7! 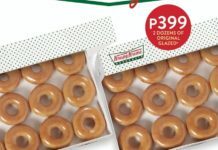 Previous articleFood Promo: Buy 1 Take 1 Auntie Anne’s Pretzels! Next articleNike Factory Store Wear It Wednesdays: up to 70% Off!